I am ridiculously far behind in my reviews, Passion is another film I watched a few weeks ago, and am just finally getting around to posting about. Unfortunately, because I’m so far behind, this may not be the longest or most in depth write-up of a very fine film. Brian De Palma directs Noomi Rapace and Rachel McAdams in a stylish thriller that really kept me guessing up until the very end. Set in the high powered world of advertising and corporate backstabbing, Noomi Rapace plays Isabelle, a hard working executive whose boss Christine (Rachel McAdams) stole her ad campaign idea in an attempt to get a further promotion for herself. Though that is not the worst thing Christine does. She embarrasses staff members with security camera footage at the staff meeting, and she’s covering up for her boyfriend Dirk (Paul Anderson) who has been embezzling money from the company. When she discovers Dirk slept with Isabelle, Christine threatens to turn him in, and proceeds to ruin Isabelle’s life and career. Someone ends up dead, and someone did it, but I won’t say who. The movie was okay, and the acting was fine; I really like Noomi Rapace and will probably watch anything she is in. I haven’t seen too many of Rachel McAdams’ films; Guy Ritchie’s Sherlock Holmes and Wedding Crashers I think are it; but she is good here. She may be typecast in romantic dramas and romantic comedies, but she breaks away from that in Passion. The plot reveals itself well enough, but started to drag a bit for me as more and more style was added to the screen. Scenes are filmed with dutch angles and unusual shadows to register them as dream but they are real; a split-screen sequence that lies about its timeline; and a scene set-up to be viewed as a hallucinative dream but it’s really a flashback, which is later revealed to be an untrusted narration. Many others directors will make a more streamlined, more exciting thriller, but no one is so committed to expose cinematic illusion like De Palma. It seemed that the style may have outweighed the content though, which in a strange way worked. I was pretty fooled by the “whodunit” which I enjoyed; but if there was more plot and less style, maybe I would have solved the mystery on my own. I’m not sure which is better, being fooled or guessing how the story will end. Passion really only interested me because of the stars, and as a fan of Noomi Rapace I enjoyed it. It may not have been an earth shattering film, as Brian De Palma directed it in “De Palma” style. There’s nothing wrong with that, but if you’re not a fan, you probably won’t enjoy the work. Passion was enjoyable to me because I haven’t seen a lot of thrillers or mysteries lately. A superb cast; Colin Farrell, Noomi Rapace, Dominic Cooper, Terrence Howard. A strong director (Niels Arden Oplev – the original The Girl With the Dragon Tattoo). Way too much story. And I think that is what did it in for me. And I really wanted to enjoy this film, because I am a big fan of Noomi Rapace. Fortunately I can say that I really enjoyed her work in this one, but have to say that she and Colin Farrell really didn’t seem to have any chemistry on screen. Their dinner date scene was painful to watch. Colin Farrell plays Victor, a bad guy, no other way to really describe him. He’s a thug who works for another thug, Alphonse (Terrence Howard), and the first thing they do is bust into another thug’s drug headquarters and shoot the place up because they think he killed one of their guys. Farrell then goes home. And he waves across the way to a pretty girl (Beatrice played by Noomi Rapace) who lives in the apartment across the way from him, and she waves back at him, because clearly everyone here has good eyesight…They eventually meet and go out, and Victor sees that Beatrice isn’t really as pretty as he thought she was 17 stories up and across the street. She was disfigured in a car accident. Now she and Victor go out and Beatrice shows Victor the drunk driver who caused her accident and now she wants him to kill him for her, otherwise she’ll turn him into the police because on her cell phone, she has video of him killing someone in his apartment. I didn’t realize that they have affordable cell phones now that zoom to take clear video from across the street…Can you sense my frustrations mounting with this film? So Victor agrees to kill the man for her, but first he has to get his own revenge. You see it turns out that Victor is really a Hungarian man whose name escapes me right now (Laszlo I think, but I don’t remember if that was his first or last…) so I’ll keep calling him Victor. Victor’s wife and child were killed a year ago by Albanians who were hired by Alphonse. Now Victor who has kidnapped one of the Albanians and is holding him hostage in a boat, has infiltrated Alphonse’s gang and now plans to lure all the gangsters and Albanians into a trap to kill them all and get his final revenge… Oh yeah and while we’re at it, Victor is an engineering whiz who has cooked up ways to listen in on everyone’s cell phones, and remotely blow up a building…but he’s really not that bad a guy because he’s made a friend with another thug in Alphonse’s gang named Darcy (Dominic Cooper) because he’s found out that Darcy has a kid; and he returns Beatrice’s mother’s Tupperware because she baked him cookies…. so bad guy with a heart of gold character. That’s a lot of stuff going on in one movie; you would think to fit it all in everything would be happening at breakneck speeds. How come I still felt that it was dragging and too long at 118 minutes? The directing was okay and the film was visually appealing with some clear “European” thinking with some camera shots and the uses of colour throughout the film, but that wasn’t enough. Sorry folks, I really tried to like this movie but it just didn’t do it for me this time. Too many plots, not enough action, and poor chemistry between the leads. I wish they all could be winners, but that isn’t the case obviously. The Monitor is a suspense thriller involving a woman named Anna (Rapace) and her son, Anders, who have been relocated by Child Welfare Services to avoid her abusive ex-husband. Still living in fear for their lives, Anna walks Anders to school, and waits for him to finish to walk him home. When they are home, the curtains are drawn, and the doors are locked, no one comes in to their apartment. She and Anders share a room so she knows that he is safe, until she has another visit from Child Services, who warn that her ex-husband has a new lawyer, who could claim custody of their son if Anna’s paranoid behaviour continues. Clearly wishing to avoid this at all costs, Anna buys a baby monitor to keep tabs on her son’s bedroom. At the same time, she befriends a sales clerk named Helge, a man who had assisted her on the bus earlier, but who also had his own hardships to deal with, as his mother is on life support. After easing her fears a little by using the baby monitor, Anna is woken suddenly by screams of fear and shouts of anger coming over the monitor. Rushing to her son’s room, she finds him safe and asleep, but where were the screams coming from? Helge tells her that it is possible she is just picking up signals from another baby monitor in her building on the same frequency and shows her how to change the band to avoid this. He also mentions how he saw her at a coffee shop the day before, but Anna has no memory of being there, in fact, she confides to Helge that often she does not remember how she got somewhere, or what she had done in a day. Anna’s paranoia has affected her sleep, could that lack of sleep be affecting her memory, or is there something more going on? Anna switches frequencies on her monitor, but she still hears the screams, and tries to track them down, thinking she has witnessed a neighbour bury a tarp wrapped body in the forest nearby….. The movie was quite good, with a decently suspenseful story to keep my attention, it did get a little too involved near the end and left me with a few unanswered questions. Naturally the best part of this film was Noomi Rapace (IMHO). She was fantastic again in a very compelling role. The film itself won the Grand Prize at the Gerardmer Film Festival in France, but also, Miss Rapace has won Best Actress awards at the Rome Film Fest and at the Amanda Awards in Norway for her role as Anna. I have yet to be even the slightest bit disappointed by anything she has done and cannot wait to watch another of her films. A few weeks ago I signed up on Twitter ( @G_Switzer ) to see if that would maybe spread these little ramblings of mine a bit further around the Internet. It appeared to do so on my first “Twitter Age” review, Alter Egos. I’m not sure how, but the director of the film somehow saw my review and tweeted it to his followers, spiking my number of views that weekend, which was great. That got me thinking a little, which is not always wise. I’ve always wanted a celebrity “friend”, kind of like the Keith Hernandez episodes of Seinfeld. I want someone cool like that to chat with, hang out with, play cards with, normal stuff like that, so I will throw this out there, Noomi Rapace, if you ever read this, you are invited to my house for a cup of tea if you are ever in the Southern Ontario region. Why not, stranger things have happened right? Okay, now I saw it, and it was pretty good. Fun, definitely a re-imagination of Holmes. Still nobody beats Jeremy Brett IMHO. As I said, I started off slowly writing my reviews….I may not have said it, but I do remember a few things that I did not like about the original film; and I think I’ll be able to touch upon the issues as I review the sequel, seeing whether or not they have improved my personally perceived shortcomings of the original. To be fair, I think I may have to give the original another watch to see if equal 3.5 star ratings is really valid for both. For the sake of time, I will assume that most readers viewing this will have already seen the first film, so I may allude to some potential spoilers. In the first film, Professor Moriarty; Holmes’ arch-nemesis from the Conan Doyle books; may have been pulling the strings, but only written into a small scene at the very end of the film; Game of Shadows focuses squarely on the “Napoleon of Crime” and his plot to plunge Europe into war. One thing I really disliked about the first film was that there appeared to be too much green screen work; the cityscape backgrounds looked a little too CGI to me, and stood out, ruining the look and feel of the era it was meant to portray. For the most part, it looks like that issue was both addressed and fixed in Game of Shadows. A lot of the film also takes place away from the great cities of Europe, so that does help, but still in some scenes the buildings look a little too “crisp”. Game of Shadows had me a little confused at times, because I recall the commercials and promos for the theatrical release seemingly playing up on the comic side of the film, with Holmes in drag, and playing up the whole nature of the Holmes-Watson relationship; the commercials that aired more recently for the DVD release of the film seemed to be playing more to the action side of the film, showcasing fights and chases and flying bullets galore. Ironically in my last review of a Robert Downey Jr film (Avengers), I also found (and disliked) that they were giving his character too much of a comedic spin. I’m sorry, in this case, to me that is just not Sherlock Holmes. An aspect of film that I don’t usually focus on in my reviews is costume, but I think I need to for a minute in this one. Almost all the costumes were very good. Watson looked right, Mycroft looked right, Moriarty looked right, the gypsies looked very good, but sadly, the one character whose costumes and appearance did not look right to me, was Sherlock himself. Holmes is a gentleman, he should be dressed that way, not in the “casual” attire he sported here, or in the poor disguises he paraded about in. I suppose in a way the disguises looking poor may be a little more period accurate, as we can’t expect latex masks in Victorian England; but what frustrated me was Holmes’ lack of a razor. Even when disguising himself as a woman he appeared to have more than just five o’clock shadow, which is something the famed sleuth, and disguise artist would not have allowed himself. Also, I think the continuity of Sherlock’s facial hair was off at several points through the film. I really don’t have much to say about Jude Law’s performance as Watson, he didn’t do a bad job, but he didn’t really do anything exceptional either. Though it was not as bad as last time out, the writers were still having Robert Downey Jr and Jude Law play Holmes and Watson as a bickering married couple. A welcome addition to the cast was Stephen Fry as Mycroft Holmes; who I’ve loved since Blackadder. The dry wit and comic relief that he brings is very well done, since he is a proper comic actor. There is something to be said about having the right people for the right job. Though Mycroft is not a comedic character at all in the few stories he did appear in, having an accomplished comedic actor play him, made it work. Jared Harris (son of the late Richard Harris) as Professor Moriarty was an incredible piece of casting, and all the scenes between him and Robert Downey Jr. were intense, as they played their respective opposite sides of the same coin. In fact, I’d say that Downey’s Holmes scenes were just that much better when he shared the screen with Harris, as opposed to the rest of the movie. It is often said that the hero is only as good as their villain, and in Game of Shadows, Holmes is elevated when Moriarty is on the screen. I had high hopes for Noomi Rapace in this film, but sadly she was under-used in my opinion. I really wanted more of Madam Simza, as Rapace has become one of my favourite actresses. Seeing that she was in the film, actually made me think about watching Game of Shadows in theatres, while everything else about it just screamed “rent it” to me. Rapace is an excellent actress who amazed me with her portrayal of Lisbeth Salander in the original Swedish versions of the Stieg Larson, Girl With the Dragon Tattoo movies, so I was anxious to see her English language film debut, and while she was excellent, I just wish that we got more of her, as she can deliver quite the performance, and is quite attractive too. Noomi is also in Ridley Scott’s Prometheus this summer, and I hope we get to see many more English performances from her, because the foreign ones are hard to get this side of the pond. Guy Ritchie seems to have his own trademarks that he needs to impart on a film to make it a “Guy Ritchie” film. In both of his Holmes pictures, we have seen the “Holmes-Vision”, where we see Holmes’ vision of a punch before he delivers it and then you see the real thing. The use of slow motion then full speed fights may have been “stylish”, but in my mind, really just seemed to pad the length of an already slowly moving film. I found it a bit hard to swallow when it was adapted at several points in the film to give Holmes an almost precognitive sense of events that had happened, or were about to happen. I think it was neat once, but after a while grew tiresome. I was happy to hear several recognizable quotes from the original Holmes stories being used in the film, but one thing that they seemed to have overlooked is that Holmes was supposed to be a rather lazy fellow, who liked to solve most of his cases from his armchair, only venturing out when he needed to test his hypotheses, or when more data needed to be collected. I know that Doyle wrote Holmes as an accomplished boxer and single stick fighter, and while this really wasn’t his claim to fame as a sleuth, apparently things still need to be spiced up for today’s audiences. 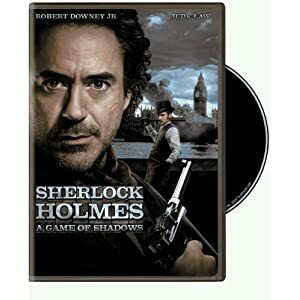 Sherlock Holmes: Game of Shadows was okay in my book; it fixed some of the shortcomings of the first film, as well as played right back into some of the other shortcomings. The thing that saved this sequel was the cast of supporting characters, as they easily outdid the two leads. And I still stand by my original review of the first film, no one has been a better Holmes than Jeremy Brett. If you haven’t seen his portrayal and are a Sherlock fan, you really must check it out. Tonight I went out and saw The Girl With The Dragon Tattoo. My first exposure to this series of stories came back in the summer of 2010. I had heard rumblings of the book, and saw that the DVD of the Swedish film was coming out. I mentioned at work that I was interested in seeing it; as I had heard it was very good; but wanted to read the book first. A girl working for me at the time said that she had recently finished the book and that it was very good. Naturally I asked if I could borrow it. She seemed hesitant to lend me the book though, even after I promised to be careful, take care of it, not read it in the bathtub, and all sorts of other things. Her concern seemed to stem from the fact that she was going away to school in a few weeks, as the summer was winding down. Reluctantly she lent me the book, and I saw the reason for her concern. The paperback version came in at 841 pages…okay, it seemed now that I had a deadline. The point became moot however, as I finished the book three days later, reading after work. The story was so good, that I could not put it down, and even rushed out early the third night to get home to read, if I remember correctly. It now became time to watch the movie. I had originally opted to watch the subtitled version, but I was tired, and had just finished reading 800+ pages, so I switched to the dubbed version, as my Swedish is ….. well, non-existent. When I switched viewing options from the menu though, I noticed that the subtitles were still on, but their translation did not match exactly to the dubbed translation, so I went back to the subtitled, Swedish dialogue version, and enjoyed the film thoroughly. From there I went and bought The Girl Who Played With Fire, and read that in a few days, and eventually watched that film when it came available. The next stumbling block in my Dragon Tattoo journey came when I could not find The Girl Who Kicked the Hornet’s Nest in paperback. I had purchased the first two books in soft cover, and clearly wanted the third book to be from the same series. They’re a trilogy, so they should match on the shelf right? Well, a year later, and I could not wait any longer. This past summer (2011) I broke down and bought a hardcover copy of the last book, which made me very popular, as several of my friends were in the same stubborn boat I was previously in, waiting to find a matching softcover copy to complete their sets; and now they had a source to borrow from. Back in the summer, I also purchased the DVD Trilogy of the Swedish films. Again I was a popular person to borrow from. I didn’t want to watch the final movie until I had read the book, and even though I read the book back in the summer, I lent out the movies to one friend, and the book to another. Long story short(ish), I have yet to see the final Swedish movie but will solve that in the very near future. But enough about that, this review is supposed to be all about the new David Fincher film, which I’m not sure how to refer to it. Is this the “American version”, the “Hollywood version”, the “Fincher version” or just simply the “2011 version”? However you look at it, The Girl With The Dragon Tattoo delivers again. I must say that the story first and foremost is superb. I have always said that no matter your budget, or your cast, or your special effects, a good story will always win out. How many terrible movies have had huge budgets and flashy effects, loaded with big name stars? Yes, big name stars and big budgets can make some movies passable, but they can also make a well written movie excellent. The casting was very good, with Christopher Plummer as Henrik Vanger delivering his usual excellence. I was a little surprised to read that Max von Sydow (a real Swede) was up for the role but could not take it, so it passed on to Plummer, the Canadian. Daniel Craig as Mikael Blomkvist seemed to be a great pick. No offence to Michael Nyqvist, but he did not really seem to fit the role of “ladies man” that Blomkvist was supposed to be. Naturally we have Stellan Skarsgård in the film. “The Girl Who Whispered” asked if he was in it, and I commented that there are only so many well-known Swedish actors, so he must be. Again Skarsgård delivers another excellent performance, as is his norm. Of course, the only casting choice that really mattered was the titular “Girl”, Rooney Mara. The original “Girl With the Dragon Tattoo“; Noomi Rapace; did a fantastic job in all three films. Naturally she was asked to reprise the role, but declined. If she was not asked there would have been outrage from the legions of fans of the books and original films, but I seem to recall seeing an interview with her where she stated what a difficult part Lisbeth Salander was to play, physically, psychologically and emotionally, and that after playing her, and actually “being” her for three years that she could not do it again. The character of Lisbeth Salander could easily fit with my personal theories about James Bonds and Doctor Whos. I think that your favourite will always be your first. If Moonraker was your first exposure to James Bond, Roger Moore is your guy. If you watched the films in order, you probably prefer Sean Connery, regardless of your age. The same can be said for Doctor Who, a character that has had 11 different actors. If your first exposure was in the 70’s you could be a giant Tom Baker fan. If you only started watching with the newer series, David Tennant could be your Doctor. (My first exposures were Sean Connery and Jon Pertwee). I think that Lisbeth Salander could be the same sort of character. Some will swear by Noomi Rapace, others will find her performance lacking compared to Rooney Mara’s. 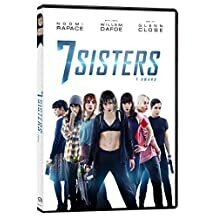 Naturally, I saw the Swedish films first, and I do find myself preferring Ms. Rapace, though both actresses did a fantastic job with a very difficult role. My only real criticism of Mara’s portrayal was the “look” of the character at certain points in the film. Sometimes her look felt almost “forced’ to me, as though they were going too far to show that she was an outcast or misfit. The story as I said is excellent, and essentially this is a mystery movie. Blomkvist is a disgraced, investigative reporter brought to a secluded island inhabited by a wealthy Swedish family, by the patriarch under the cover that he is to write the elderly industrialist’s memoirs. In actuality he has been brought there to solve the 40 year old murder of the man’s favourite niece. Being one of the richest and most important families in Swedish business, the Vangers do their homework and have Blomkvist investigated by Milton Security who employ Lisbeth Salander, a computer hacker and researcher, with a photographic memory, and a Dragon Tattoo on her back. 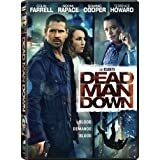 Following the trail of this cold case, Blomkvist enlists Salander as his research assistant, as the mystery deepens, not only to unearth the fate of Harriet Vanger, but solve a series of brutal murders committed against women over the years, all linking back to the young girl’s disappearance. The film followed quite closely to the original source material, and lined up with a lot of things in the original films. There were of course some differences, some good, some indifferent, and some not so good, as there always will be with any remake or adaptation from a book. One thing that really bothered me from the original films; though I can guess why it was done; was the omission of Blomkvist’s daughter, who provided a key plot point recognizing the significance of a list of names. I assume that in the original film the character was cut to save costs, and not cast an extra actress for the small but important part, when her role could be transferred to another character. The Girl With The Dragon Tattoo was an excellent film experience, that did benefit a good deal from Fincher’s hand. The film looked fantastic, capturing all the intrigue, suspense, and darkness you expect after reading the books. After winning an Oscar for their work on Social Network, David Fincher again teams with Trent Reznor and Atticus Ross for the score. The soundtrack to the film fit perfectly with the mood, and the tension grew with each song, even Sail Away/Orinoco Flow by Enya becomes a murderous tune in their skillful hands. For such a serious movie, with such sombre tones, I did appreciate the tongue-in-cheek humour scattered throughout, such as a character coming to the door wearing a Nine Inch Nails T-shirt. This is not a film for everyone, certainly not the squeamish, or the weak at heart. There are several scenes that will make you cringe, but the end results of the story make it all worthwhile.